Sports are inherently risky activities – some more than others. The risks vary depending on the sport. The risks assumed in sports where physical contact is part of the game – such as hockey or basketball – differ from the risks assumed in tennis or cycling. While the risks of injuries are inherent in many sporting activities, such as hockey, serious injuries may allow you to advance a successful claim. We help individuals who have been injured in a variety of sporting activities such as organized, competitive, or recreational sports. If you have sustained injuries while participating in any kind of sport, as an amateur or a professional, call us. We may be able to help you in obtaining the compensation that you deserve. Having signed a waiver or release is not necessarily a bar to action. You may be entitled to compensation if your injuries have been caused by the negligence, carelessness, recklessness, or intentional acts of someone else. You may have a claim against the organizing body, facility, participants, teammates, or even the manufacturer of sport equipment. 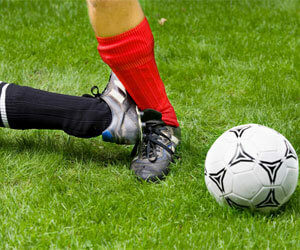 Some sport injuries occur as a result of someone else’s negligence. In those cases the courts will generally consider whether the offending party breached the standard of care owed to the injured party. The standard of care that parties owe to each other depend on the activity itself. The courts will use the fictional reasonable person and ask whether, considering the circumstances, the offending party created an unreasonable risk of harm. In some other cases injuries occur as a result of an intentional act or serious of intentional acts, committed by the offending party. In those circumstances, one of the questions that the court may ask is whether the circumstances show a definite resolve to cause serious injuries to the Plaintiff.In the past, behaviours characterized as “unprovoked battery unrelated to the advancement of the game”, “deliberate unilateral attack”, “actions calculated to do injury”, or those showing “a demonstrated recklessness or a lack of regard for the consequences of one’s actions” have attracted the sanctions of the courts. It is imperative that you contact us as soon as possible after your injury. Liability in sport-related claims is fact-specific and testimony of witnesses can play an important part in your claim. We will need to canvass the opportunity of interviewing and obtaining statements from any witness who may be available. Remember that there is no obligation created on your part by consulting our firm. Even if and when you retain us, you do not pay unless we win!